Tingles around the crown chakra and random pain around the head and chakra areas. Sometimes this feels like a helmet is around your head ( this is because our higher akashic chakras are being expanded at this time. Tingles on the front of the legs and upper arms (more DNA changes). Feeling like other beings are around you and touching you or wanting to communicate with you ( no fear, this is all fine). Seeing beings from other dimensions. Smelling flowers or other things from other dimensions (smells from other dimensions). Can’t sleep or sleeping too much (changes from day to day). Being overly tired, weighted down or drained. Feeling spacey as if you may leave your body at any time and as if you are not fully in your body. Intense dreams-dream astral work ( doing multidimensional work in the astral realm). Our DNA is again going through an upgrade and some of these symptoms are classic signs that are worth paying attention to when they take place. I will discuss this further down in the article. As I have talked about many times in the past, everyone becomes more psychic in the ascension process. This is because we are becoming multidimensional. 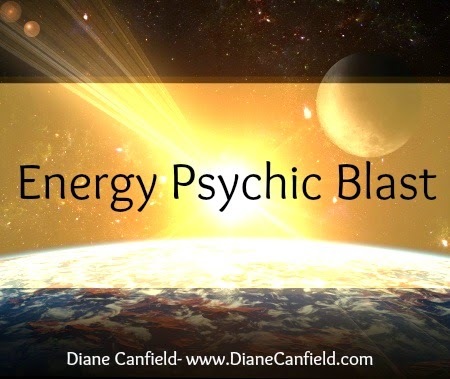 Psychic experiences are very much related to ascension, in fact this is how you may know if you are experiencing the ascension process, you will have more psychic type experiences. It is very important to understand what psychic experiences are and how they relate to ascension. As we move up in consciousness, we also expand our consciousness which then leads to experiencing more of reality. What is more of reality? It is more of the expanded reality, not the 3D reality that was limited on our beautiful Gaia but the REAL reality that exists beyond 3D. As a psychic I have always had access to this reality, but now everyone has a chance to experience these other realms, portals to other dimensions, our Star brothers and sisters and magic experiences for themselves. Extreme compression of the head and crown chakra. Nausea that came out of nowhere. Extreme hunger, needing to eat every 15 minutes. Extreme thirst, needing to drink something every 15 minutes. Increased heart rate that lasted about an hour. It is very important to pay attention to any of these symptoms and this is because these are the premiere ascension symptoms. When my experience was over I felt very drained and tired, it was as if I had just been on a 5 hour hike up a steep mountain. I was not in control of this experience. I have been thrown into other dimensions in the past and this had similarities to it in the way it came on and I was just IN the experience of it. Also the way my aura is always supercharged during these experiences. The entire next week I had a very hard time bring my vibration back down to 3D. Everything seemed to be moving at a snails pace here in 3D land and I had to keep telling my husband to speed up. He and everyone else seemed to be moving way too slowly. This is because my vibration was actually supercharged from my 5 hour experience. This moved me far up the vibration ladder and even though I had to bring myself down a bit to function here in this world, my consciousness remained at the upper levels of ascension awareness. We are now in the MIDDLE of the process of ascension. This is what I am hearing from my ET council that keeps me informed of what is taking place and is always with me. Many beings are now in the process of waking up to ascension. My council is happy about this since they are also helping us to attain this higher state of being. They have been involved with me for 14 years and I am an Ambassador of the Council to help others with their shifting process. This is why I am still here, and I did not ascend off the planet, this is my role in this process. I will be posting about some of the beings from my ET council that have visited me in person. I know I have been promising this but it has taken me a long time to get some accurate pictures done of the 3 beings of Altar that came to me in my house. These are just one of the races I have been visited by. This is why I call them my council of ET’s. I will be posting all the races that have visited me in my subsequent posts. This will help everyone to understand we have nothing to fear from direct contact with our Star Family from other worlds. They are helping us with the ascension process just as they have always been involved in human evolution.